By hermetically sealing off a landlocked country, India not only shows contempt for international law, but follows a blatant strategy of destabilization as well. 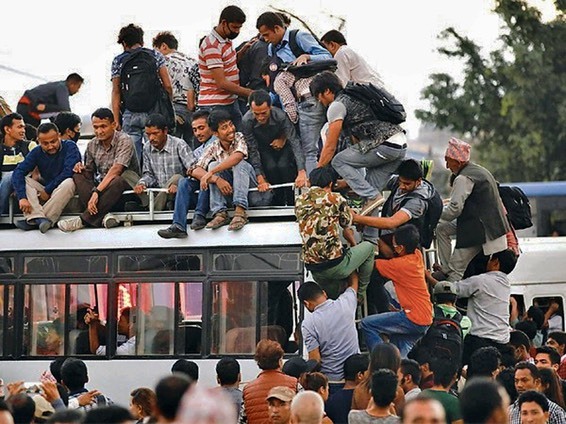 Is Nepal being incorporated as an Indian state, is a new civil war developing, how many people are at risk of dying this winter from hunger and cold due to indifferent politicians and why does the rest of the world not interfere - despite all the collected international aid for earthquake victims being stopped at the border? ‘When will it come?’ an article about earthquakes in the Himalayas headlined in the Kathmandu Post January last year. Based on old scriptures and inscriptions in slabs of stone at temples and palaces, it had been calculated that the young mountain range had a pattern of coming into violent motion every eighty years or so - sometimes resulting in disastrous earthquakes. At the time it did not seem a good idea to me to provoke the gods with such a headline when as a hindu you count 333.333 of them. 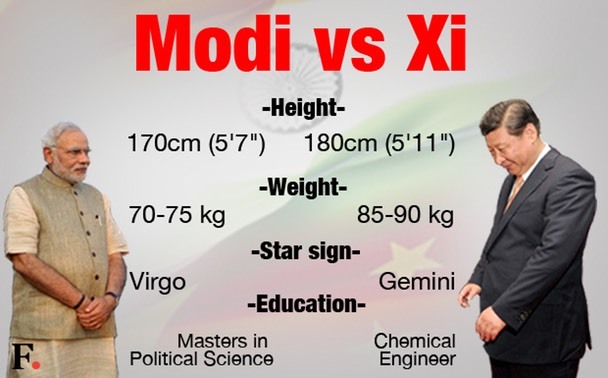 To the west lies India, but possibly he took a broader view and hinted at the international geopolitical developments around the Pacific Ocean, the Pacific Rim. 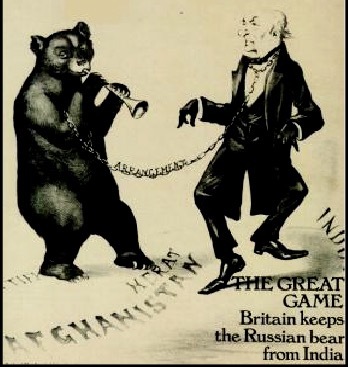 At the time of Indira Gandhi non-aligned India preferred the Soviet Union to the United States as a friend. Even though CIA-documents on East Pakistan have in the meantime been released which show that Indira Gandhi had every reason not to trust Nixon and Kissinger, the relations are totally different now. The world 's most powerful democracy nowadays wants to be close friends with the world's greatest democracy. In other words: the US is trying to get India to cooperate in reducing China’s influence in Asia. The months-long, destabilizing boycott of Nepal seems to have become some kind of compensation in this sequel to The Great Game. For the tragic facts about the past earthquakes I’d rather refer to the internet, all has extensively been documented. 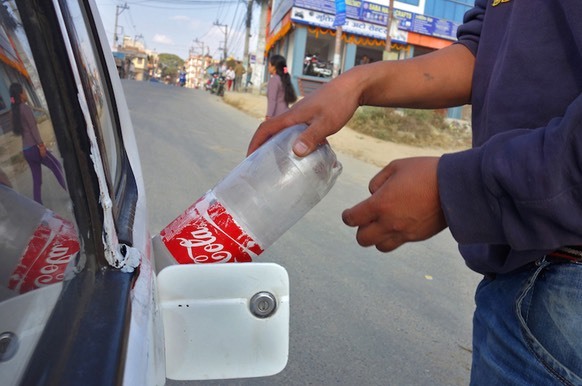 More urgent and threatening is the current Indian boycott, which not only deepens the sufferings after the earthquakes and threatens to cost even more human lives, but is also harder to explain. With great approval from its population, Nepal at last installed a new constitution on September 20th 2015. 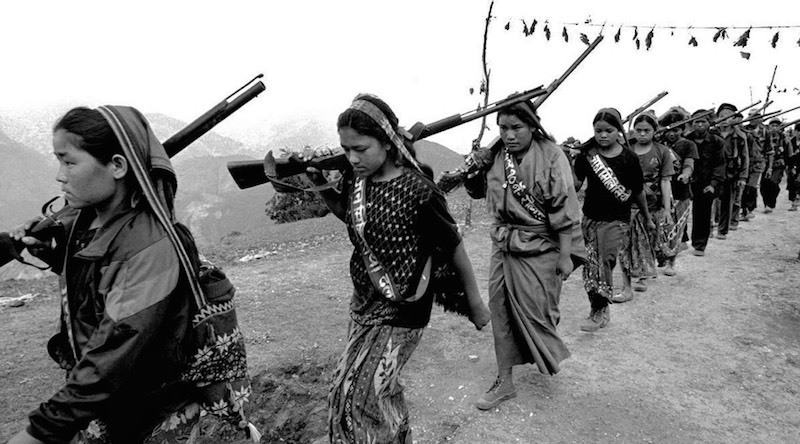 After a ten-year period of civil war – in which a maoist guerilla fought its way out of the jungle into government seats causing some 17,000 casualties - and then some eight years of endless political bickering and trickery, a remarkable result was indeed achieved according to the politicians involved and international experts. The remarkable timing, shortly after the disastrous earthquakes, turned out to have been deliberate. 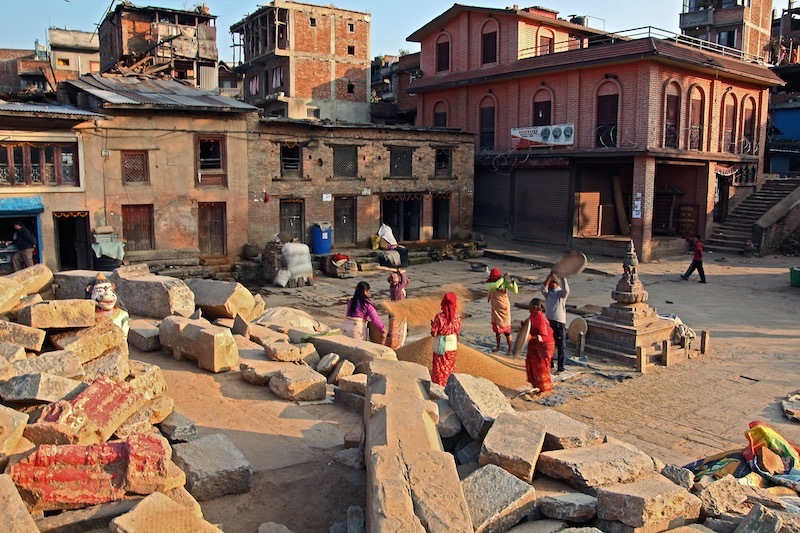 Behind the scenes big neighbour India had been forestalling the new constitution for some time – they demanded changes – but now that Nepal stood in the international spotlight, its politicians dared to press on. 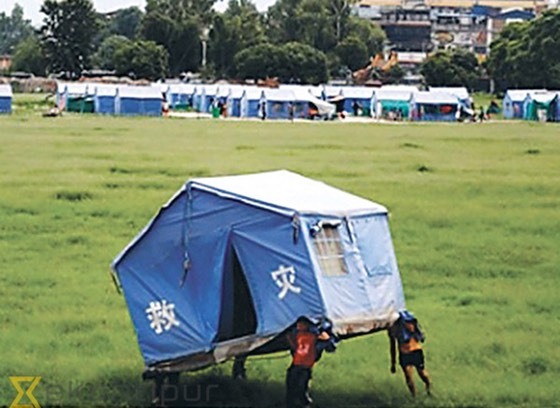 Emmergency accommodation as a replacement for totally collapsed houses. True, at the very last moment a number of women’s rights were taken out e.g. 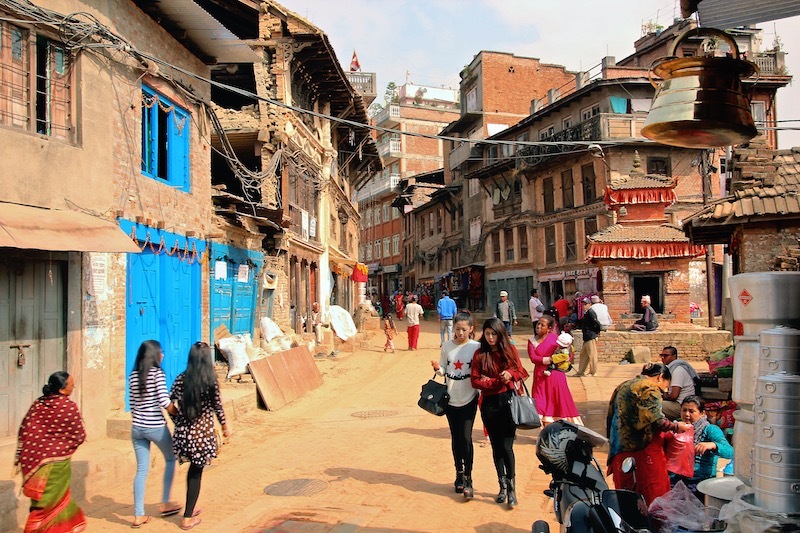 concerning marriage with foreigners – at the time few understood why – but ‘there is nothing in the new constitution that can not be changed by amendments.’ On the 145-nation Global Gender Gap 2015 Nepal even climbed two places to 110th. ‘Some 250 different drafts circulate in the world,’ the first commission defended why it took so long. ‘After its independence in 1947, it took India some seven years,’ the next commission justified its long stay on the plush. The earthquakes shook these cushions as well and the real reason, the underlying stalemate, came a bit more into the open. From all over the world congratulations poured in. Except from India. President Modi declared he had taken note. 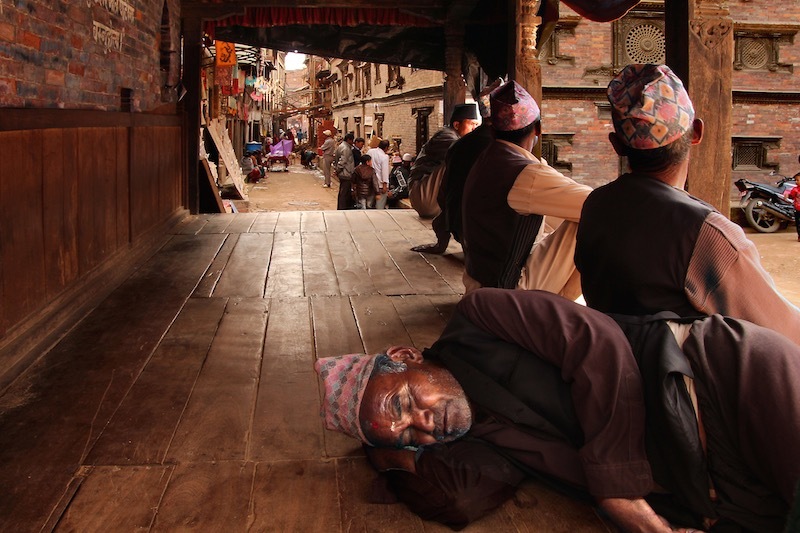 c: http://www.essenceclick.com.np The last supper of ethnic minorities in Nepal. India was cross - at least the ruling extremely conservative Hindu party, BJP. She had publicly told the Nepalese government to delay the introduction of the new constitution. Among other things, until after the election in the neighbouring state of Bihar. Soon on FB a list of seven demands was leaked. 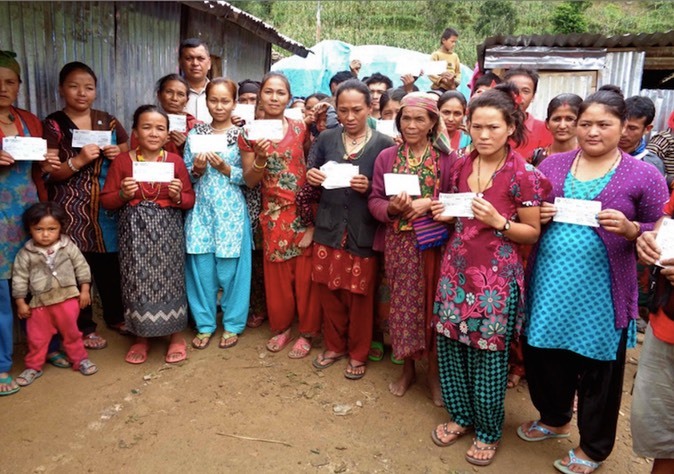 The main demand was that the Nepalese inhabitants along the border with India – the 51% of the population Koirala mentioned at the beginning – would get voting rights percentagewise. No doubt India hoped thus to strengthen their grip on Nepalese domestic politics. Thanks to a flash of nationalism, for the first time in its 250 year’s existence Nepal actually seemed socially united – at least the other 49%, the numerous minorities in the mountains. 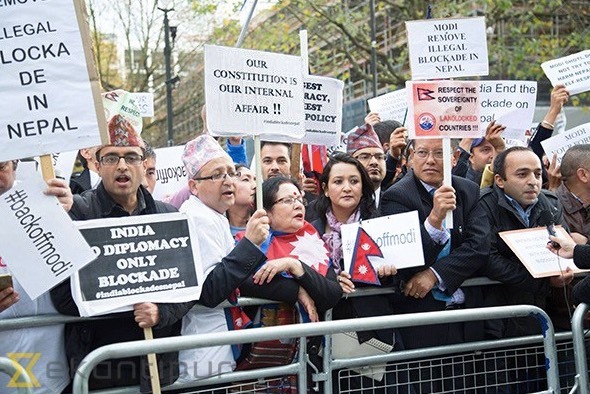 Protest at visit of President Modi to London by Nepali and Sikhs. 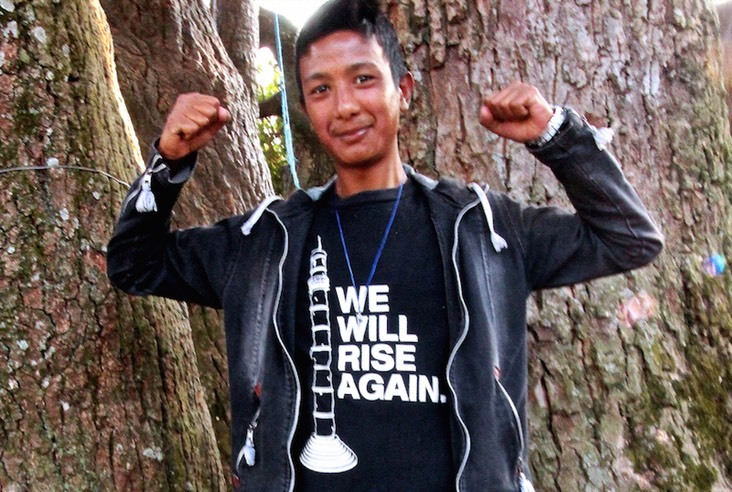 Nearly every Nepali is aware of the fate that Sikkim befell. 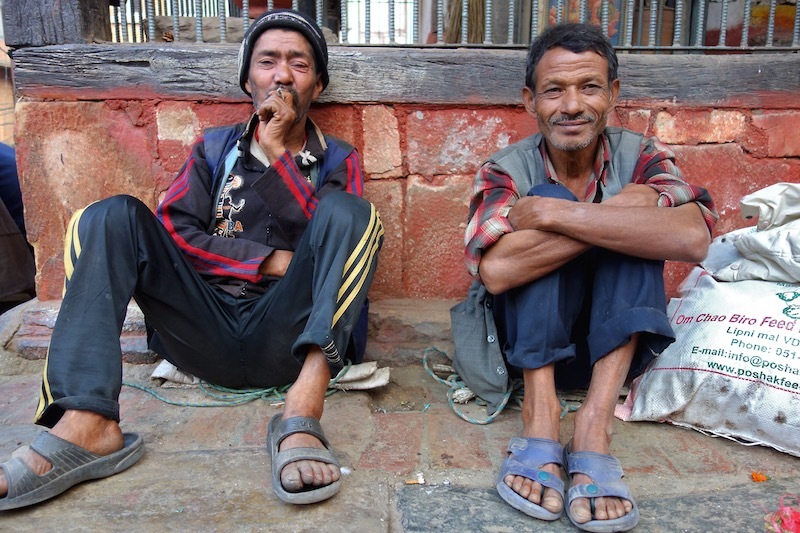 Two-thirds of the residents of this principality alongside Bhutan originally is of Nepalese origin and often still speaks in Nepalese dialects. In 1973, the Indian Research and Analysis Wing (RAW) started to bombard and infiltrate Sikkim with targeted propaganda. 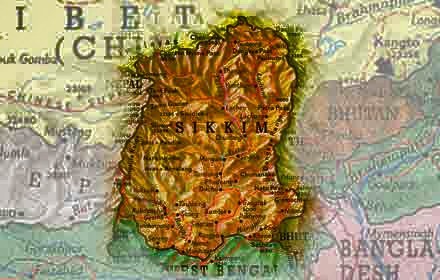 Two years later, after an enforced referendum, edited with lies, India could publicly state that the people of Sikkim had ‘legally’ voted to become a state of India. To what extent India considers adjoining Nepal as an extension of its own territory became clear last April. 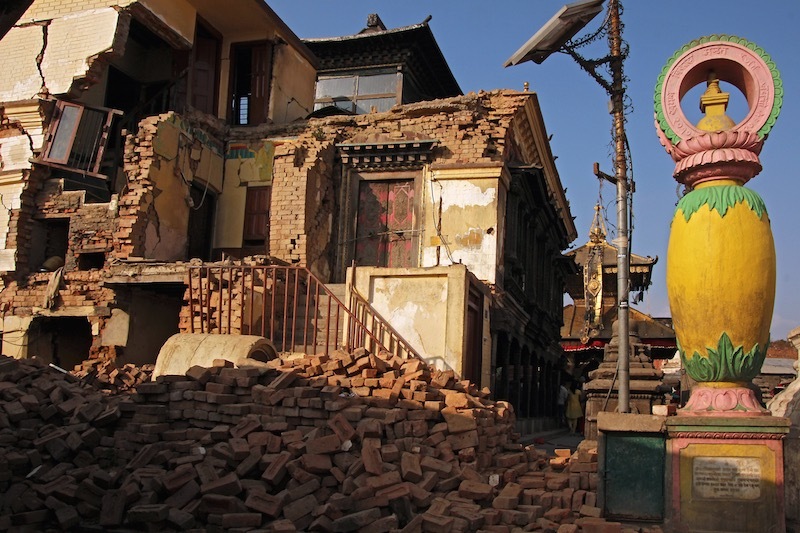 Immediately after the first earthquake, airplanes from many countries flew with reinforcements towards Kathmandu: Japan, China, UK, USA and even the Netherlands. As a matter of course, the Indian army at once took over command at Kathmandu Airport. Without their passes no one could get in or out. In retrospect, the only surprising part may be that the soldiers actually left again. 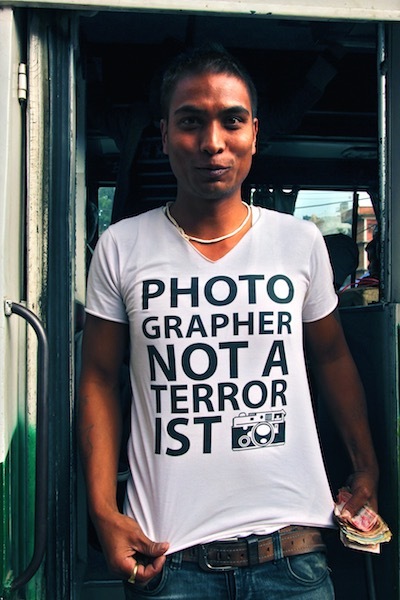 Already several times Indian citizens have been arrested in Nepal because they turned out to be armed. Last November 29, a group of thirteen men. A Nepalese government official was referring to the taking of Crimea, at which the Indian ambassador, dutifully, publicly fulminated. To win last November’s elections in the neighbouring state of Bihar, the Indian President Modi used the situation in Nepal as pawn in his campaign. He appeased the residents of the border strip on the Nepalese side, the hindu Madhesi, hoping that they would go and vote for him in India. This is possible because many of them have dual nationality. Given their hard lives, these documents are an expensive purchase. From experience they know, however, that poor-in-money equals poor-in-rights, so options to flee are to be kept open. In the media President Modi maintained, for example, that Nepal's new constitution should not introduce separation of church and state, but proclaim itself a hindu state - something that would cost him his head domestically, with at least 20 percent non-Hindu nationals. 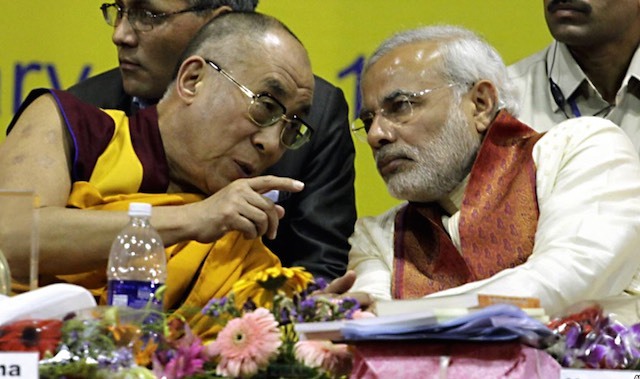 During a tour of Buddhist countries such as Vietnam and Laos, but in Germany as well, the hindu fundamentalist Modi boasted that the Sakyamuni Buddha was born in India. 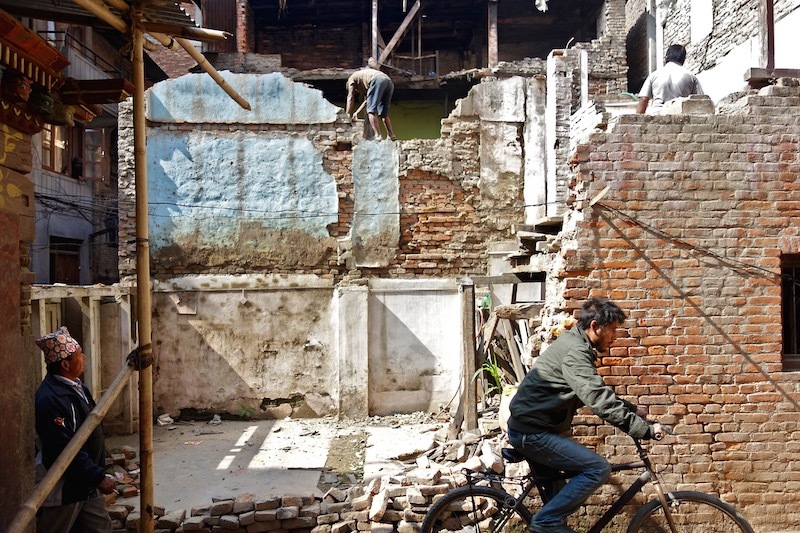 Obviously, the state of Nepal did not exist –but neither did the state of India. 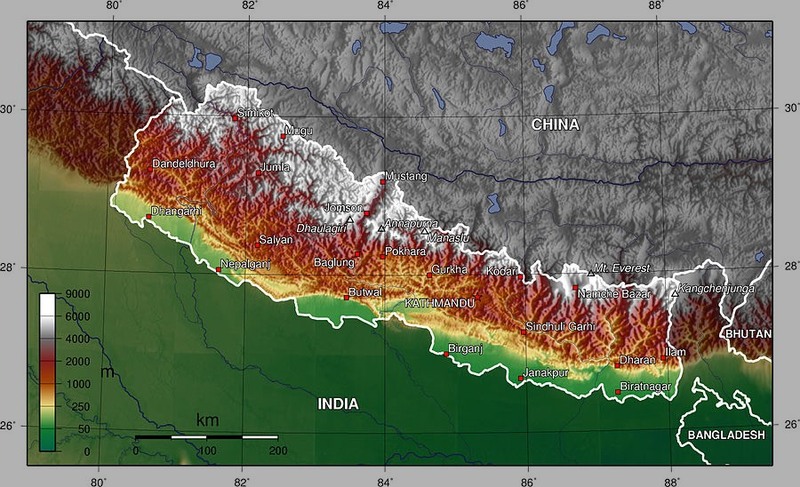 The question arises whether from Modi’s perspective there exists any border at all with Nepal. He lost the elections in Bihar so dramatically that mutiny arose within his party. 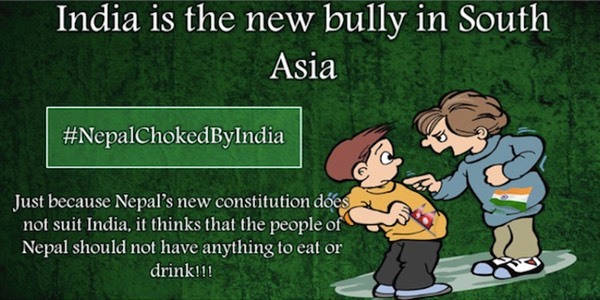 People were associating the ‘intolerance debate’ in India with Nepal. The Indian writer Sanjay Kumar in his article ‘An uprising against intolerance in India’ states that in India ‘the perception is gradually building that Modi is using the slogan of development merely as a mask and that the real agenda of his government is to convert the nation into a hindu state. 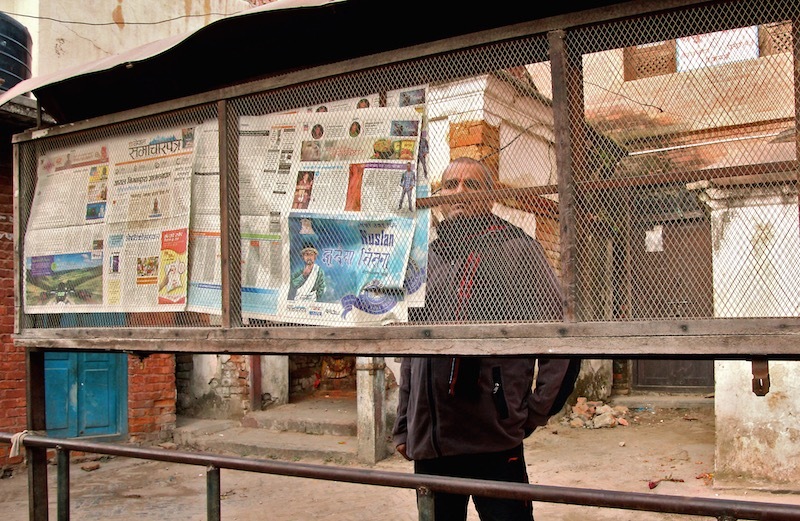 Ratyush Nath Upreti, lawyer. So when neighbouring Nepal – often called ‘little brother’ by Indian politicians – changes from a hindu kingdom into a secular republic through a new constitution, it is contrary to the BJP agenda. 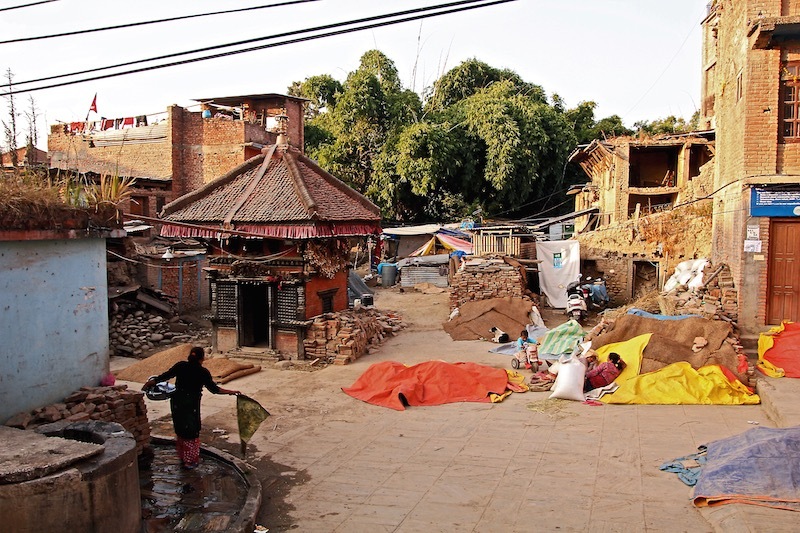 The undemocratic position of the government in Kathmandu is somewhat understandable: it fears an even greater Indian involvement with domestic politics once Madhesi could constitute a majority. 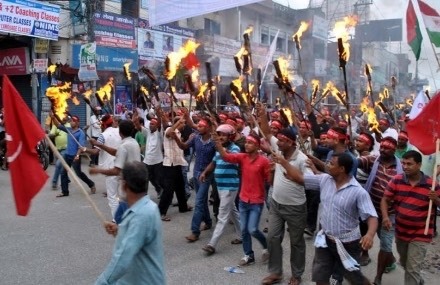 Therefore, they prefer to arrange the voting rights through the federal system of states, whereby the wishes of the Madhesi would not define those from the hill-minorities. 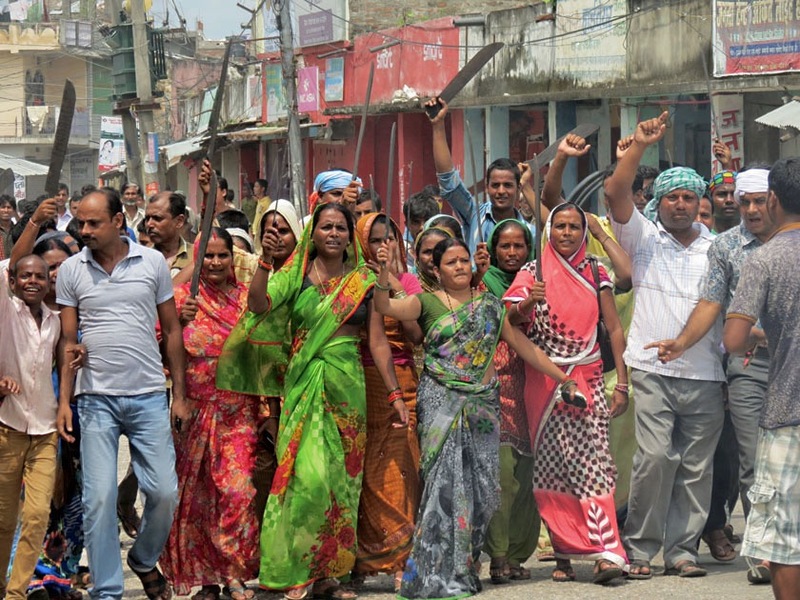 The Madhesi position speaks for itself: in a democracy each individual has the right to cast a vote. To further elucidate the stalemate, the following. Nepal is roughly similar to England in size and shape. 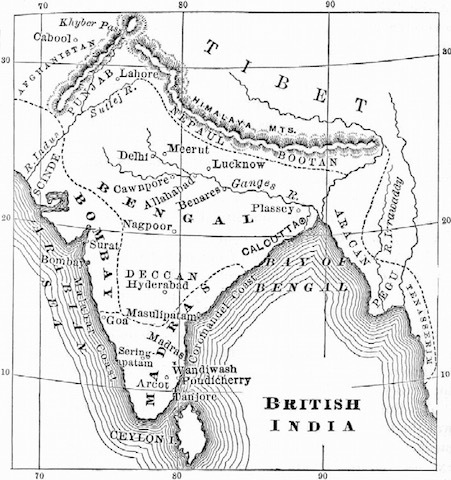 The country can be divided into three long, thin strips: high, medium and low mountain range and subsequently the plains to the border with India. 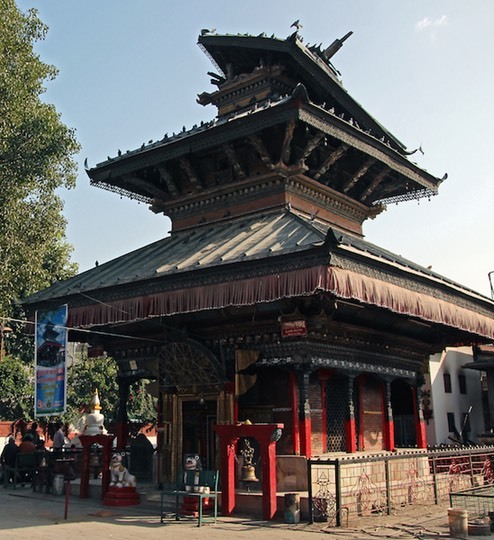 For centuries, the administrative power has been situated in the central mountains: the capital Kathmandu valley. The plains are called the Tarai. For centuries this sun-drenched strip was sparsely populated by peasants. 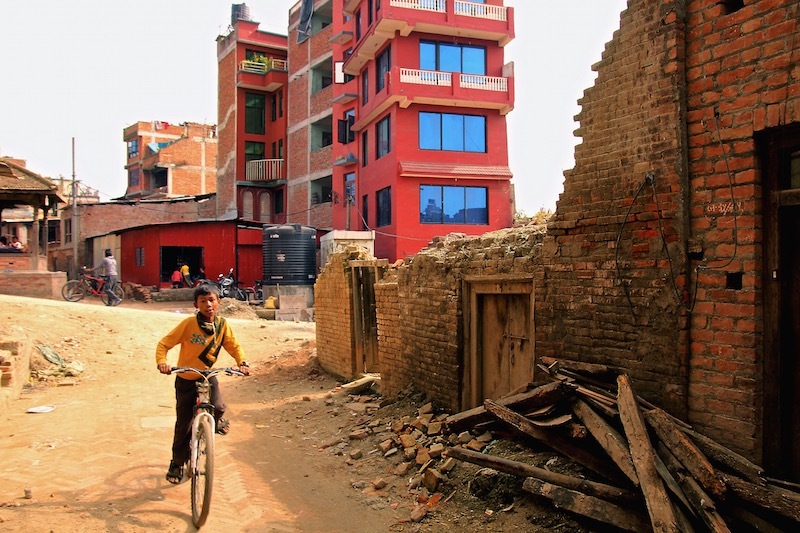 During the last decades, however, great changes took place in the Tarai. 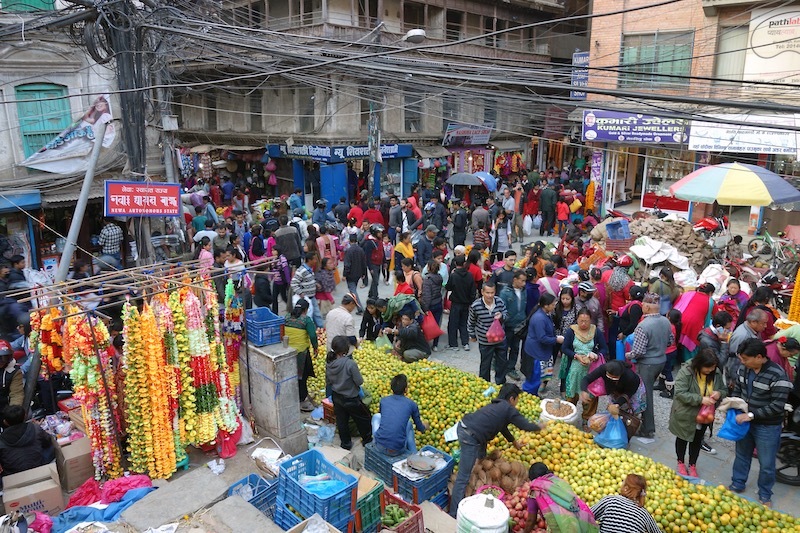 Its population now constitutes over fifty percent of Nepal and its industry close to seventy percent. 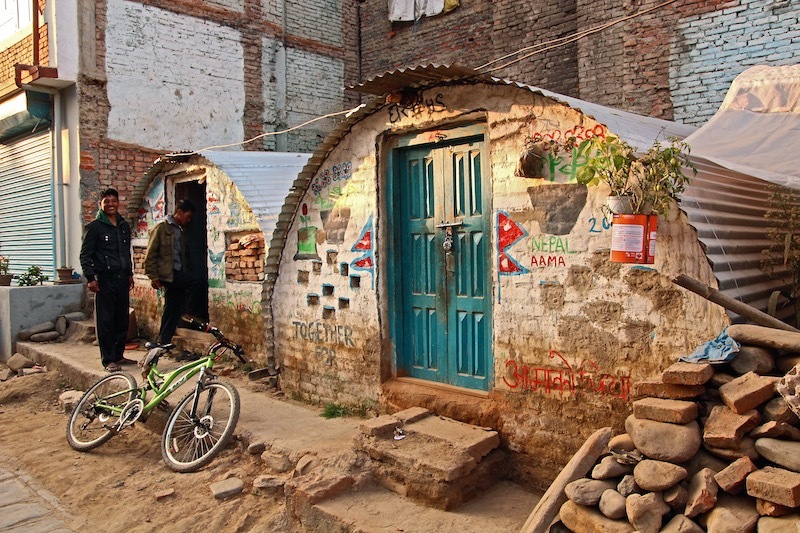 Nevertheless, the Tarai still hardly has any political input. 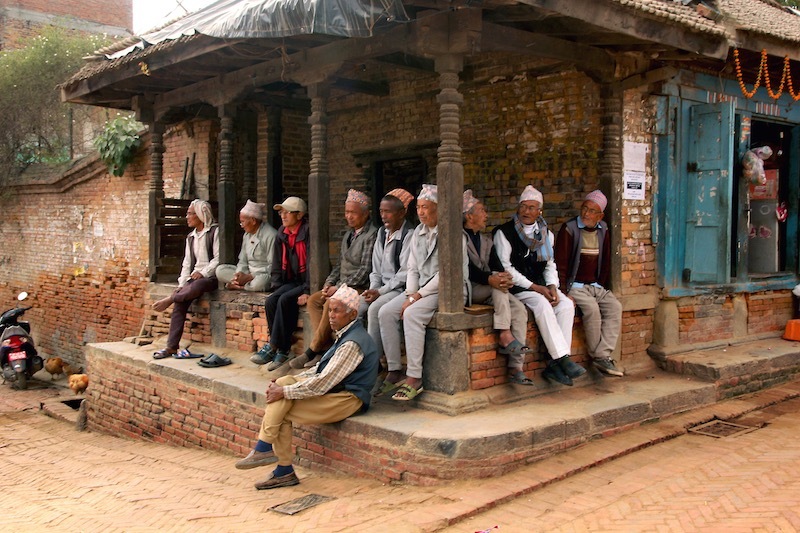 Traditionally the hill people view the Madhesi rather as Indians than as Nepalis: ’They all wear dhotis’ (no longer so) and don’t even speak Gurkhali’ (in remote valleys people speak this lingua franca just as poorly). Together they could have been a threat to the Rana oligarchy; divide and rule. 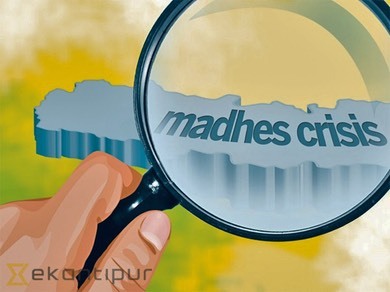 To underline their demands to be included, the Madhesi parties stopped all imports at border towns. 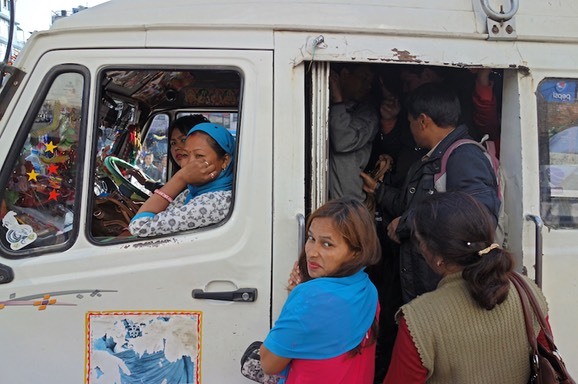 As Nepal is enclosed by India – transport via the northern border, the Himalayas, is difficult, if not impossible, especially for containers and tankers - the Madhesi consequently have a very effective means of blackmail. 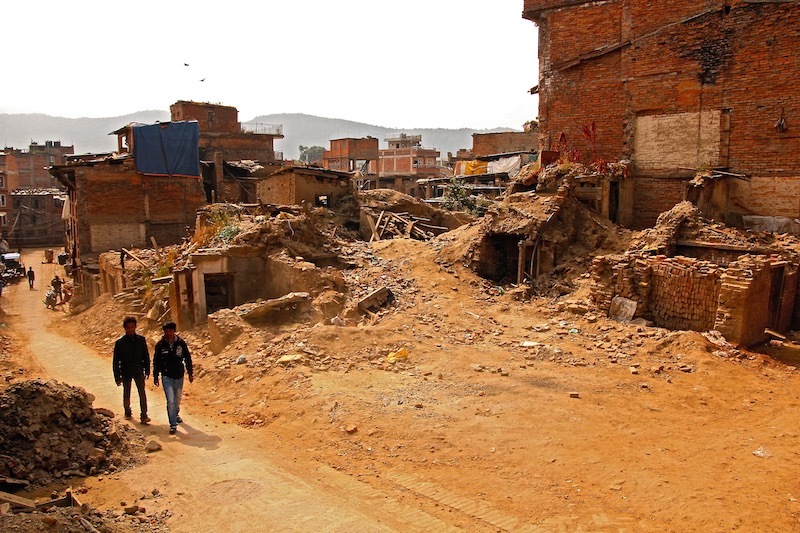 In response, the government in Kathmandu deployed the army: forty deaths. President Modi reacted with ​​a historically charged remark: we will defend every Indian living on that side of the border (read: Madhesi). Promptly the Nepalese army withdrew – which made a columnist wonder whether Modi had not accidentally prevented a new civil war in Nepal. 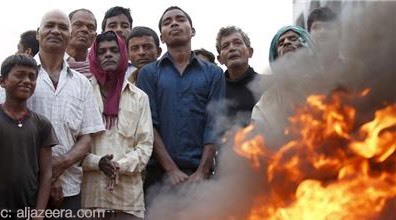 To emphasize Narendra Modi’s warning, the BJP set up an official boycott against Nepal. Apparently the party had forgotten that decades ago all the countries in the world signed the international treaty that guarantees landlocked countries access by road and use of nearby ports. So a day later the BJP announced that it was an ‘unofficial boycott’, again a day later it realized how amateurish and silly this sounded and ever since insists that ‘the unofficial boycott’ does not exist: it is an internal conflict. Meanwhile, the Indian customs has been stopping all im- and exports since September 2015. The blockade came immediately after the promulgation of the new constitution on September 20. 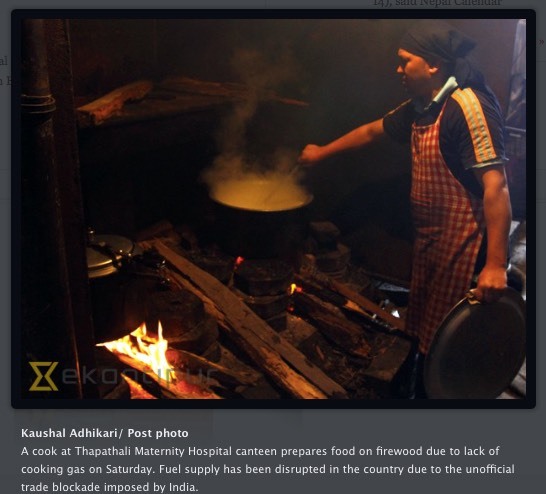 In the meantime there is a lack of everything with the lack of fuel further intensifying the problems. 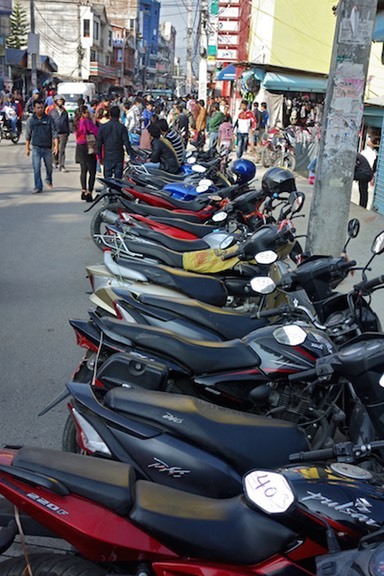 As usual, at once a black market popped up: people with mopeds run daily to and fro to fill their tank as often as possible. Night buses replace passenger seats with jerry cans (and, of course, already some went up in flames). It helps that Nepal traditionally has an open-border policy with India – any other form would hardly be possible to maintain or to finance. Read: there is even more corruption than before. 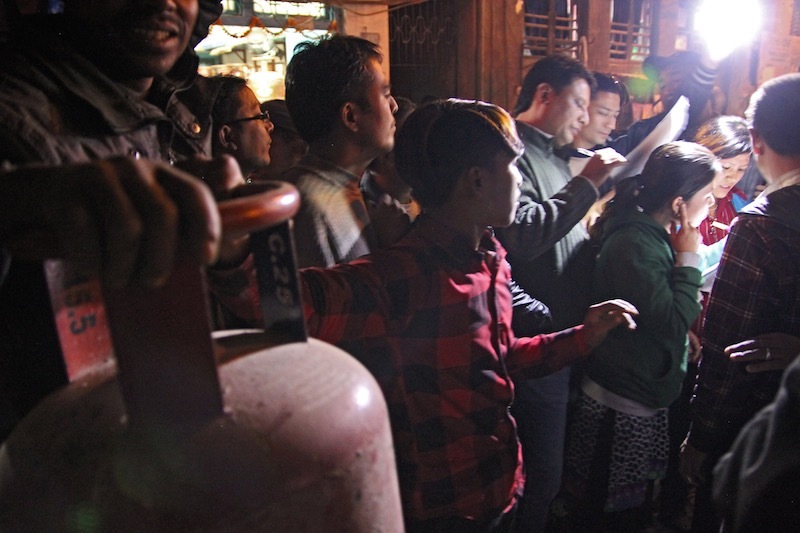 Strictly controlled distribution of twenty half-filled butane gas cylinders. Nor is there butane to cook. Result: increased logging. Consequence: increased erosion. Effect in the not so long run: rising riverbeds in India and Bangladesh, which will eventually result in flooding, as in the eighties. Other critical shortages in food and medicines are obvious. Industries cannot help but close, the overall damage rises rapidly - especially for an already poor country with little reserve that recently got to handle a natural disaster as well. 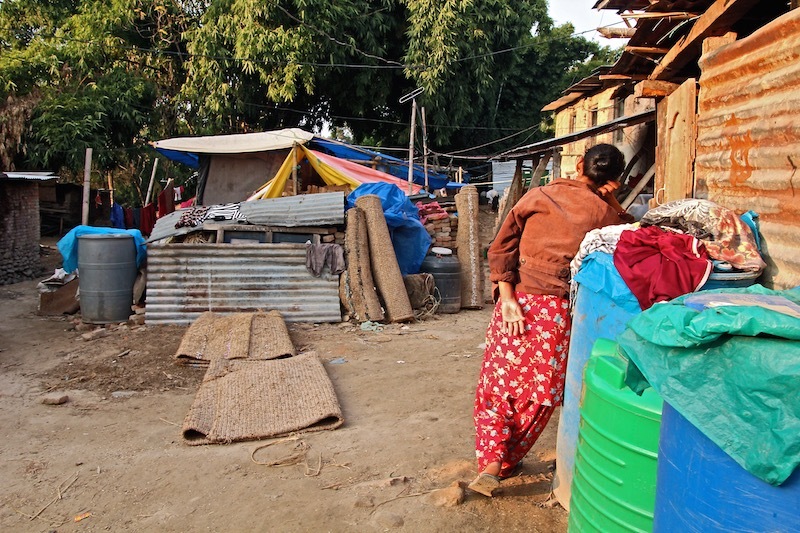 Nov 26 2015 - An additional 700,000 to 982,000 people were pushed below the poverty line by the earthquakes. 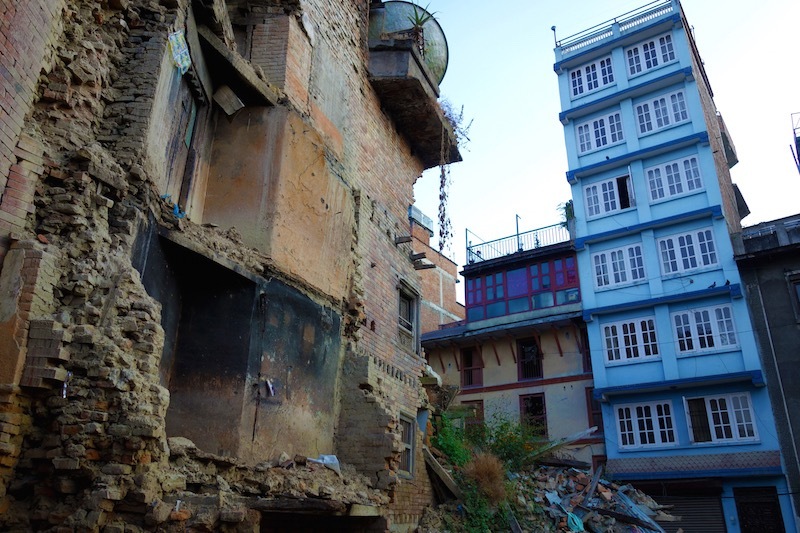 The monetary value of the damage was estimated to be about $6.7 billion, almost half of it attributed to damage of housing and human settlement. The international political silence is striking; silence equals consent, it seems. China pledged aid, but continued to linger and up to now mentions 'gifts' rather than structural solutions. 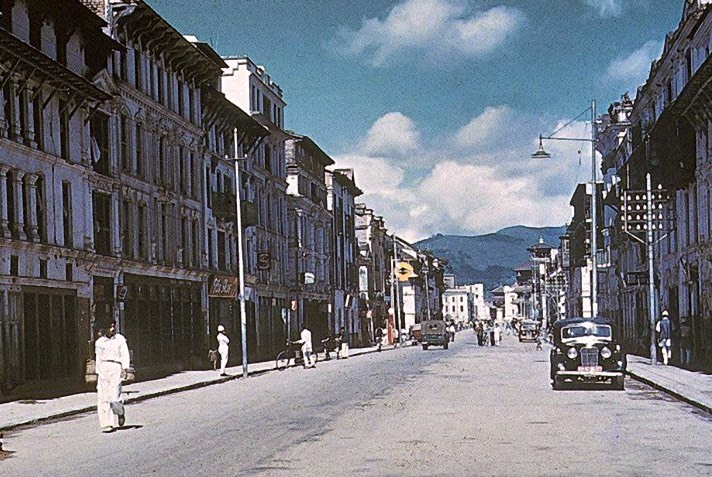 Possibly China is still puzzled why India did not press ahead – like they annexed Tibet – when in the fifties Mao and Nehru decided upon the Himalayas as an obvious boundary between the two giants. 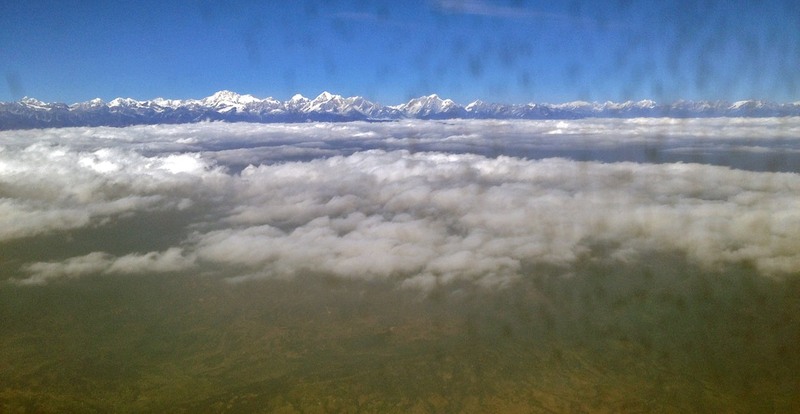 Initially China annexed Mount Everest as a whole, but after protests by Nepal let the dots run over the top. 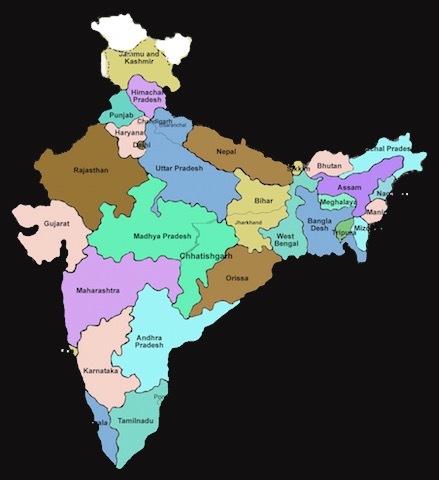 On maps of Indian websites, Nepal is often depicted as a state of India. Dec 24, 2015 - Harsha Kakar, Indian Defence Review: ‘In the past few years, the US has become India’s largest supplier of military hardware. 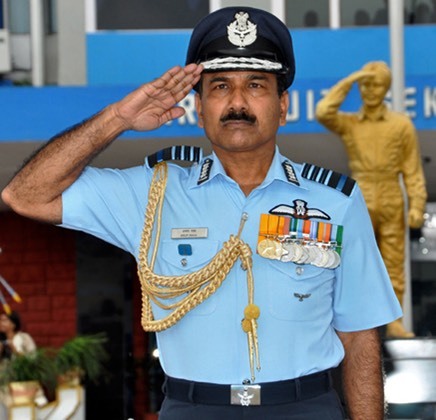 It has overtaken Russia in meeting India’s defense modernisation plans. In addition there is an increase in military-to-military exchanges, including, in the recent past, participation in naval, air and army exercises. The interaction at the strategic level enhances close bonding. The recent visits by the foreign and the defence ministers have helped enhance the level of bonhomie and military interactions. While for India, the relationship increases its standing in the international community, for the US it makes above all strategic sense. 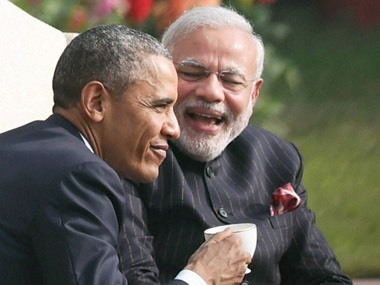 In the present environment there are challenges for which the US needs India’s support. The first is to counter a belligerent China. The push for control of the South and East China Seas brings forth China’s hegemonistic designs. The only two navies that have the capability to counter this design are those of India and Japan. Thus, by involving Japan in the naval Malabar exercise, along with the US, India has signalled its unwillingness to accept China’s claims. During the Japanese Prime Minister’s visit numerous military agreements were signed which provoked sharp criticism from China. India has for some time enhanced its patrolling of the piracy-infected seas off the African coast. Thus piracy has drastically reduced. It is easier for India to maintain a naval presence in the region than for the US; it also suits Indian interests as it directly affects its maritime trade. 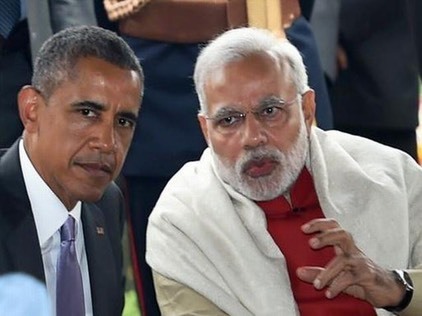 India is presently in talks with the US on the Logistics Support Agreement (LSA) which was desired by them (the USA - TL), but the UPA (progressive coalition in India – TL) was unwilling. It is aimed at permitting access to military bases and ports, resulting in easier conduct of joint exercises besides expanding their scope and level of conduct. It would finally result in enhanced trust levels for flow of military technology and co-production of hardware. The US says it wants to withdraw from Afghanistan and tries to counteract the influence of Pakistan and China in the area by increasing India’s presence. For India, the US holds the key to a number of international organizations, whether it is the UN Security Council or the Nuclear Suppliers Club. India has had problems with its military imports from Russia. The shortfall in spares and the delay and increased cost of the aircraft carrier are some recent examples. Until its domestic defense industry comes of age, India would need to depend on imports to enhance its capabilities to continue to be a military power in Asia. 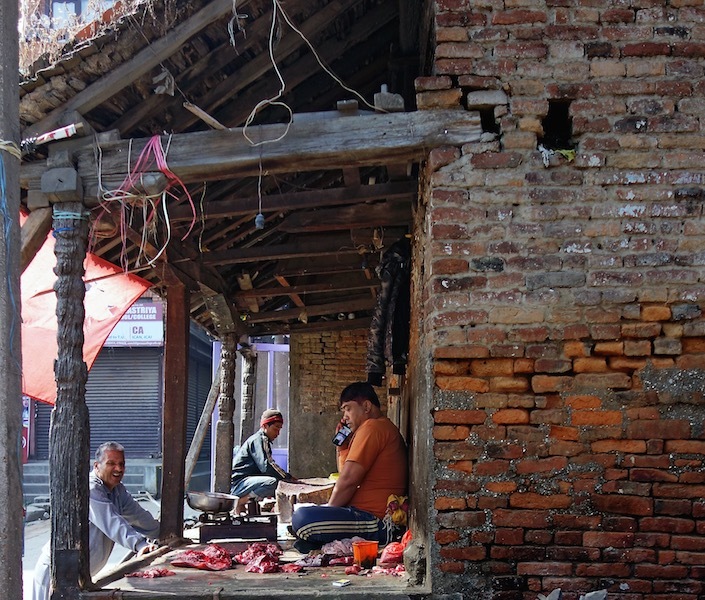 Butcher shop, in front of the house. In itself, it is obvious that a good ruler is concerned about the supply of energy and water of a dry, hot country. After the US (319 million inhabitants) and China (1.35 billion), India (1.23 billion) comes third as largest causer of greenhouse gas. As for energy use, India comes fourth in the world. In order to enter into competition with China and to achieve the desired economic growth, the government expects to need at least 1300 GW in the near future. This is ten times the current supply which is covered for eighty percent by fossil fuels. Hydropower – cheaper, cleaner, safer and more efficient – sparkles on the majestic horizon, but is largely situated in Nepal – still a young and independent republic. Meanwhile large business interests got involved. 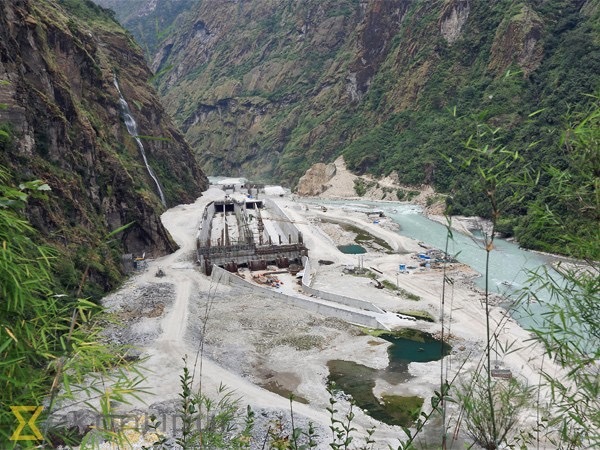 India decided to invest in various, capital hydroelectric power plants on Nepalese territory. 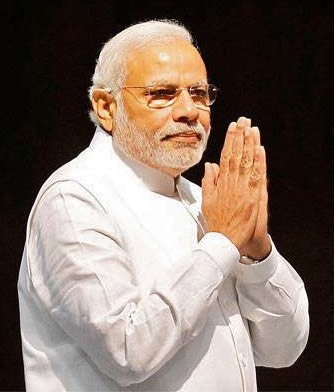 On November 25, 2014 Modi flew over – none of his predecessors these past 17 years had seen any reason to – to witness a signing valued at $ 2.4 billion for two powerplants. 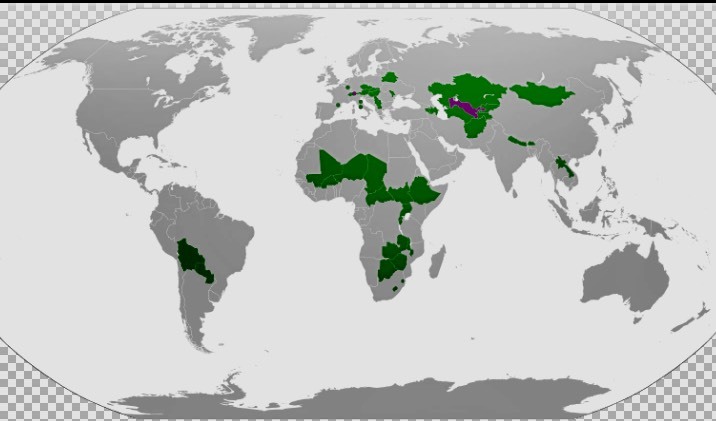 In 2012 China had already pledged a project worth $ 1.6 billion. 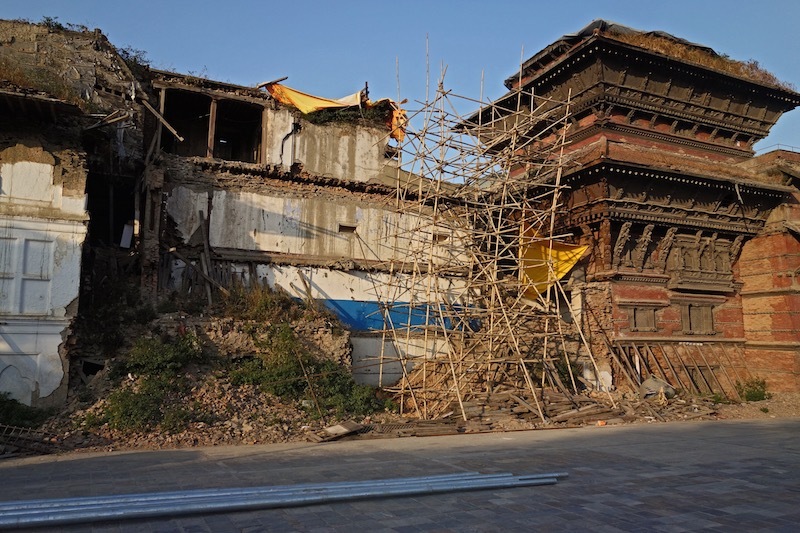 As well as in March 2014 an additional grant of $ 145 million for the upgrade of a 71-mile road that joins Kathmandu with the Tibetan border. One of the first cars, imported via the harbour of Calcutta and carried across the promontory. View of Bodhinath stupa and old trade route, mainly for yaks and horses. 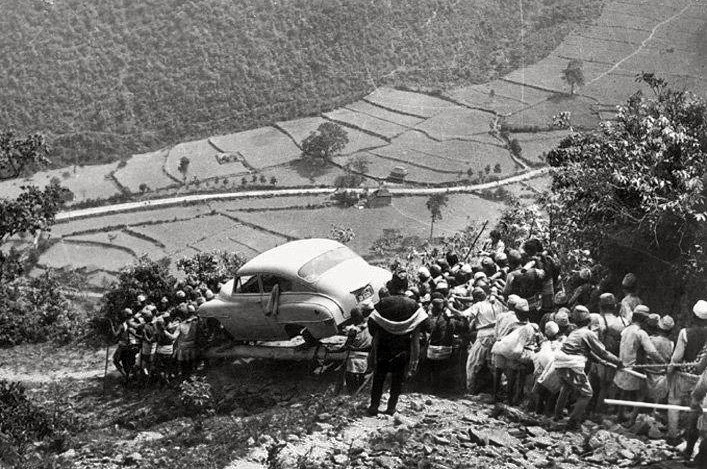 History repeats itself: the first two hard roads in Nepal, one to China and the other to India, came about in the same way in the fifties. There has been much ado about the contracts already concluded, because the corruption by the officials involved was simply too obvious on both sides. 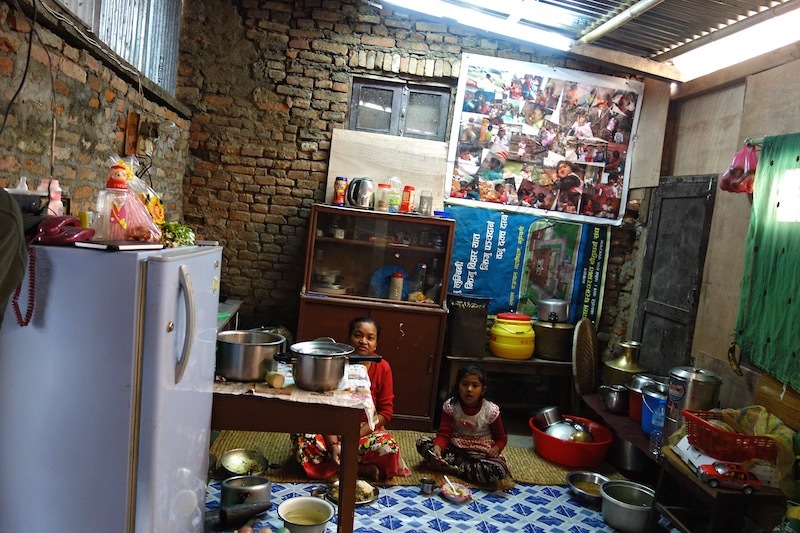 Per generated unit of electricity the Nepalese state treasury gets not even a tenth of what the national electric company subsequently is required to pay for inland consumption. Jan 6, 2016: Load shedding hours have increased once again. From Monday, they went up to 86 hours a week from the previous 77. Official explanation is that the depleting water in rivers feeding major hydropower plants because of inadequate rainfall has forced the Nepal Electricity Authority to increase load shedding. By the way, this is by no means the first boycott by India. The last one dates from 1989. The then King of Nepal had dared to buy weapons from China. The boycott lasted about eighteen months – once a black market has come into existence, there are many parties with an interest to prolong it. 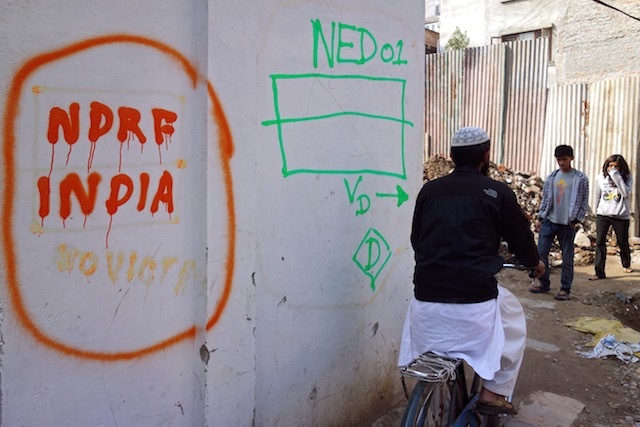 Some of the Nepalese media seem convinced by now that India's BJP party follows another agenda than the sudden and strong solidarity with one specific Nepalese ethnic group, the Madhesi. Incorporation is no paranoid thought, there are historical examples: Sikkim and Bhutan. Other neighbouring countries such as Bangladesh, Sri Lanka and Pakistan know all about it, with all these countries India is or was at odds, to put it mildly, for similar reasons. 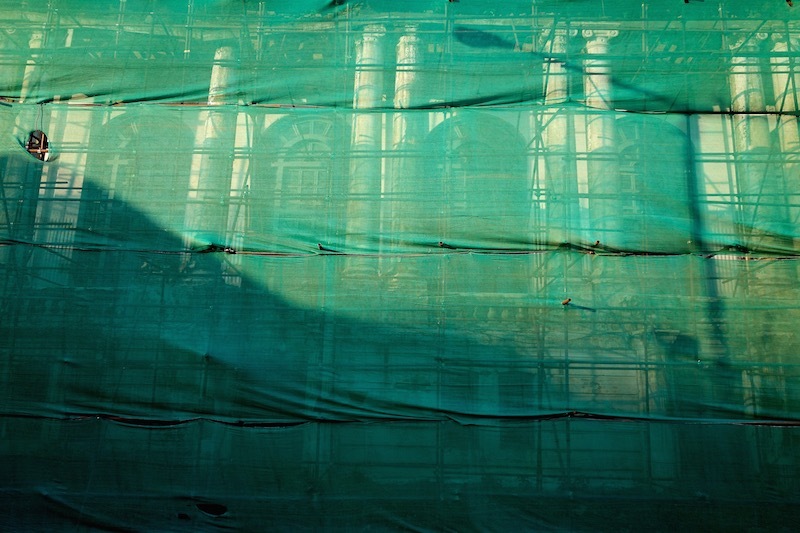 The old palaces were heavily damaged as well. 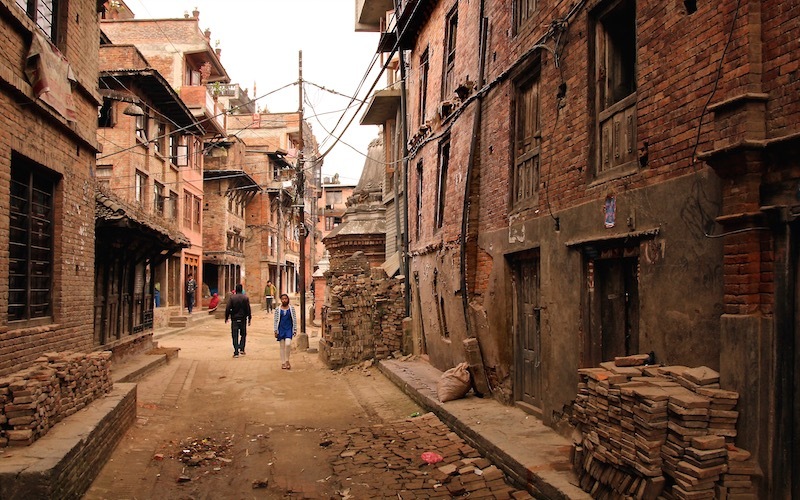 Meanwhile, however, a new, more general uncertainty seems to emerge in Nepal. Some columnists question openly and possibly for the first time in history: who or what actually is Nepali ? The very term only dates from the sixties. 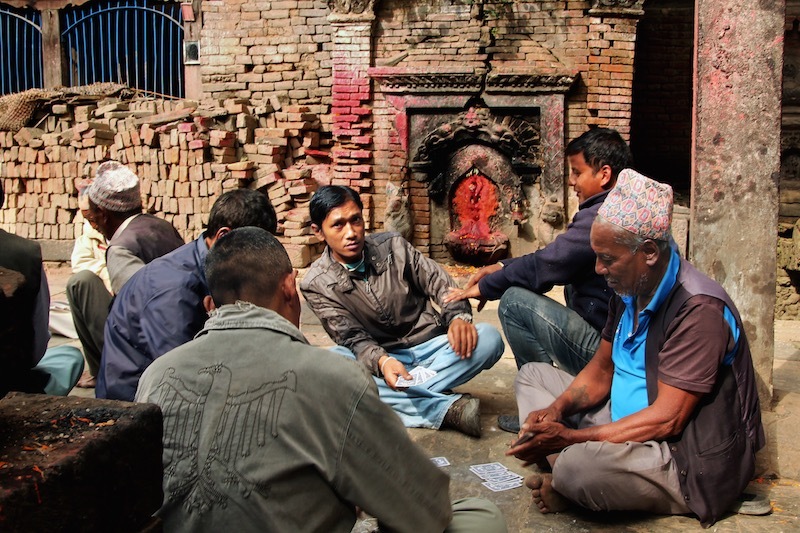 As one of them wondered: in how far is Nepali in fact an imagined community ? 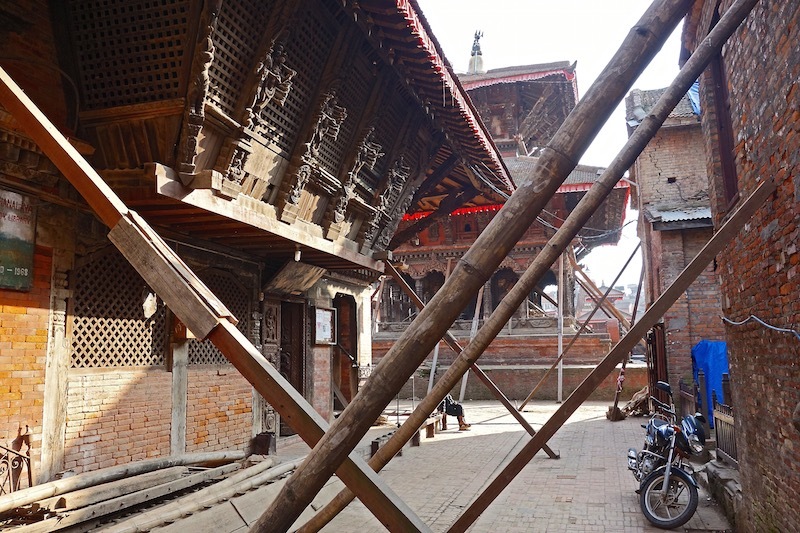 Shah/Rana palace left, Malla palace right. 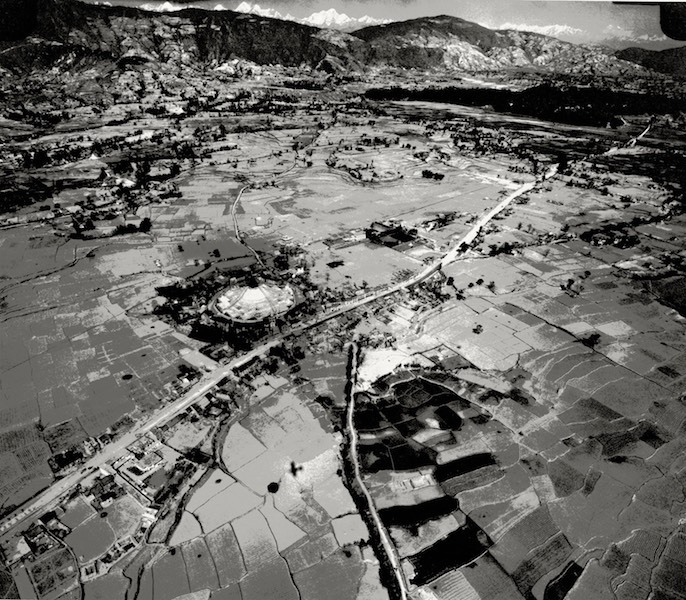 Until the sixties ‘Nepal’ had for centuries been understood to be the Kathmandu Valley – and only in the second or third instance the surrounding country. 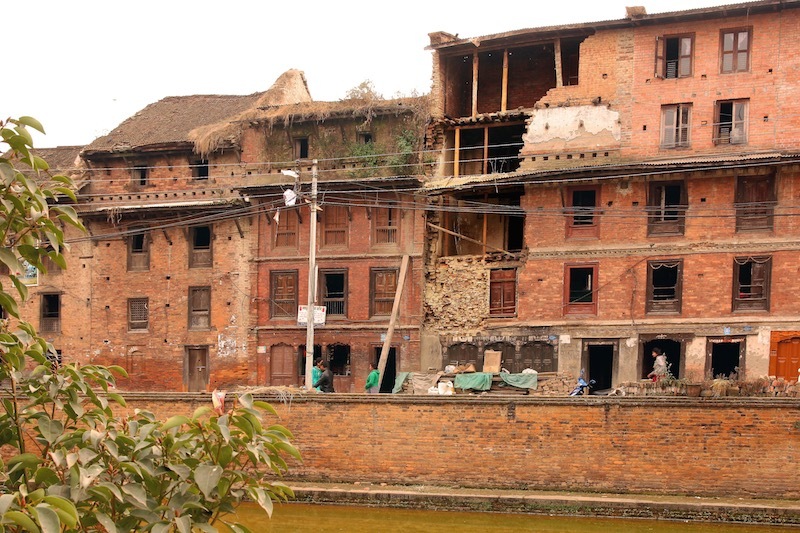 The world-famous – recently destroyed or battered – Nepalese temples, statues, paintings that attracted millions of tourists over the years, in fact, stem from the ancient Newarese Malla dynasty (1201-1769), the culture of the original inhabitants of the valley who nowadays only make up some twenty percent. 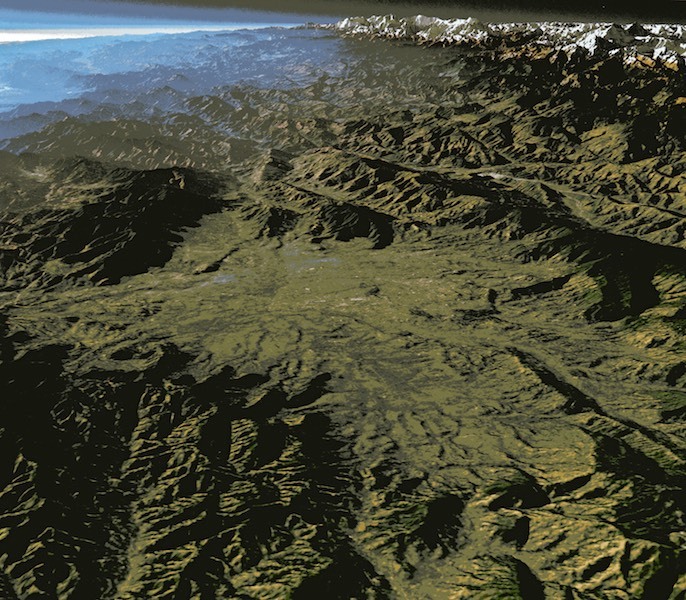 At the fall of the Malla-kings, the current state of Nepal was put together by conquests and for some 250 years suppressed and exploited from Kathmandu by Ghurkas and Ranas, who kept it isolated from the rest of the world. There was hardly any experience of a national unity. 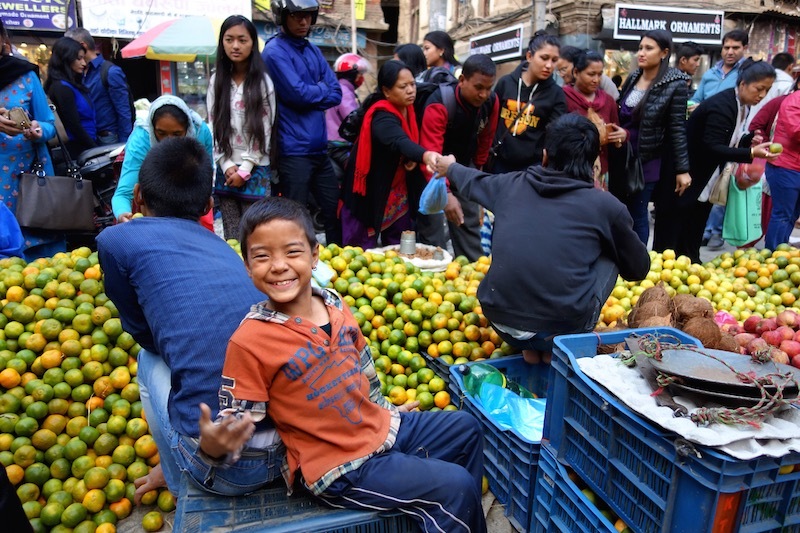 For centuries the Himalayan region has been inhabited by peoples who immigrated from all directions and brought along their own languages and religions – which created a rich palette of diversity. You could argue that Nepal was kept together for 250 years by the fact that British India preferred preselected recruited quotas of Gurkha soldiers to the rule over a poor, sparsely populated landscape with endless uncontrollable, inaccessible mountains and valleys. 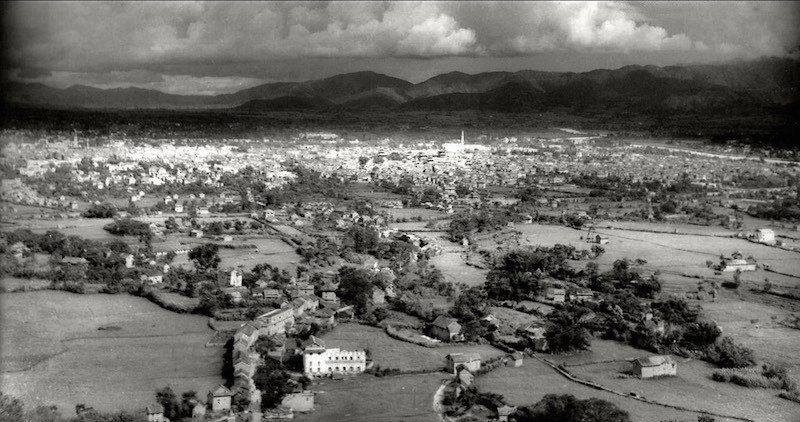 Old picture of the Kathmandu valley. 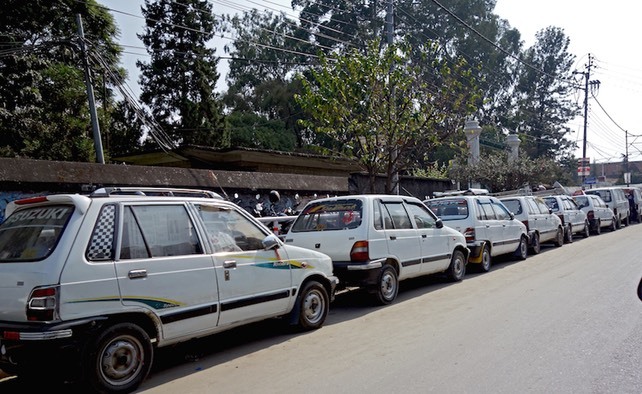 At the same time, the dictatorial regime in Kathmandu stayed safely out of range during The Great Game. You could therefore argue that Nepal only became some sort of a unity when its borders opened to the rest of the world in 1951. But how does a country with thirty million people remain politically and culturally autonomous next to a neighbour with over a billion? Political autonomy: just like the former kings, all subsequent politicians flew ‘for a health check’ to Delhi at every important decision. Economically Nepal depends on India for close to eighty percent. 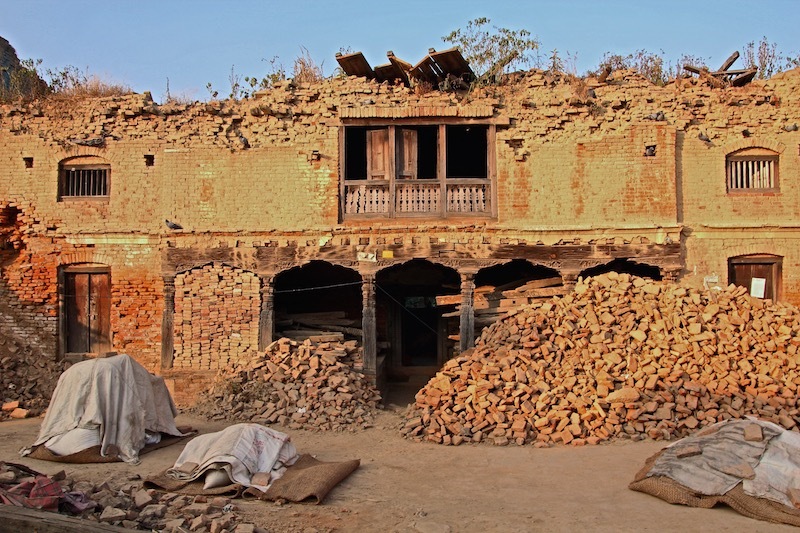 Until thirty years ago plenty of temple roofs rose above the roofs of shouldering homes, today you have to know where to find them. 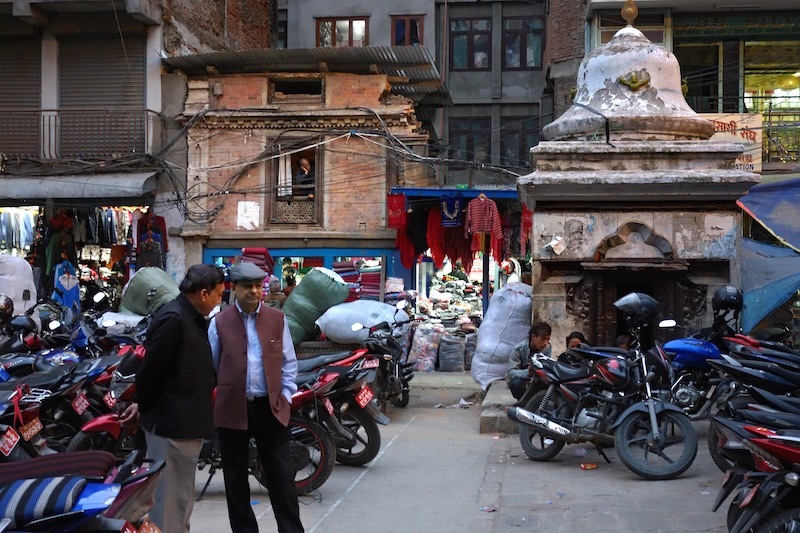 The religions or worldviews of Nepal and India largely correspond, including the present neoliberal view. 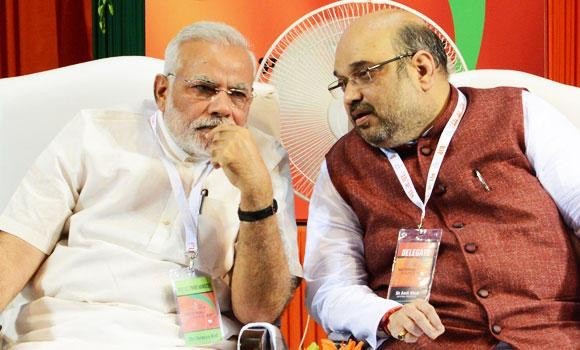 For decades, they have been watching the same Bollywood movies and Indian TV channels. 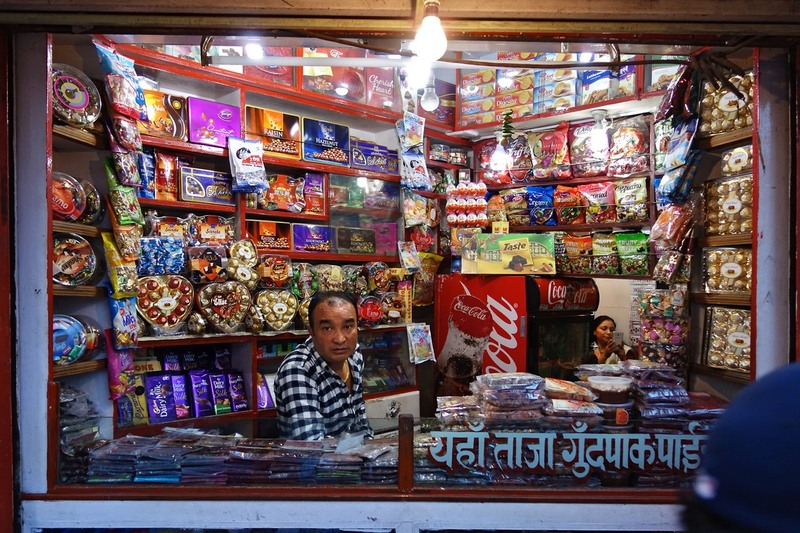 Almost every Nepali understands Hindi, not vice versa. 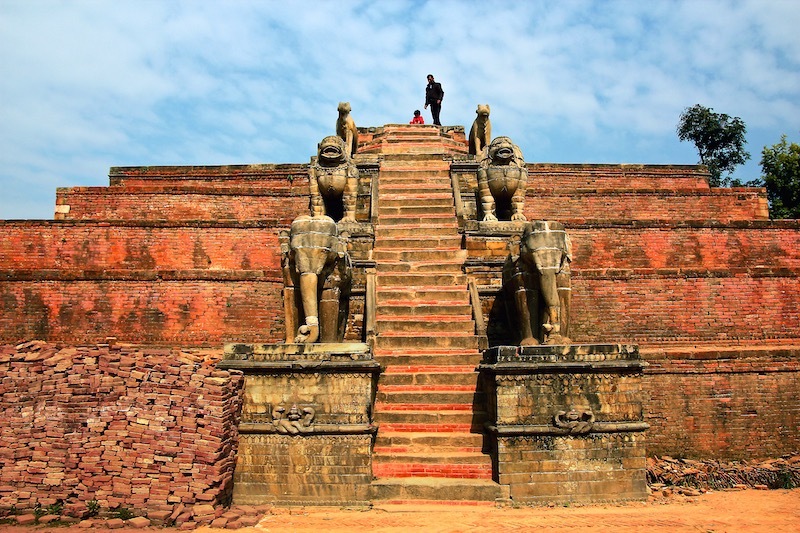 Within half a century Nepal has fought itself from a medieval kingdom into a modern republic and distinctly established itself on the world map. 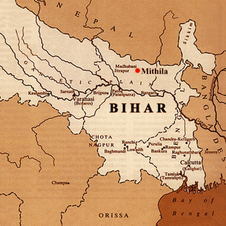 You only have to look across the border to the poor state of Bihar to see that – all the more so with a modern constitution – they did not do so badly. Even in comparison with the large next door neighbour, that since independence has been familiar with nonstop ethnic and religious hotbeds and doesn’t have one unequivocal identity either. Without a constitution, there was no new government and therefore no National Reconstruction Authority until last December. 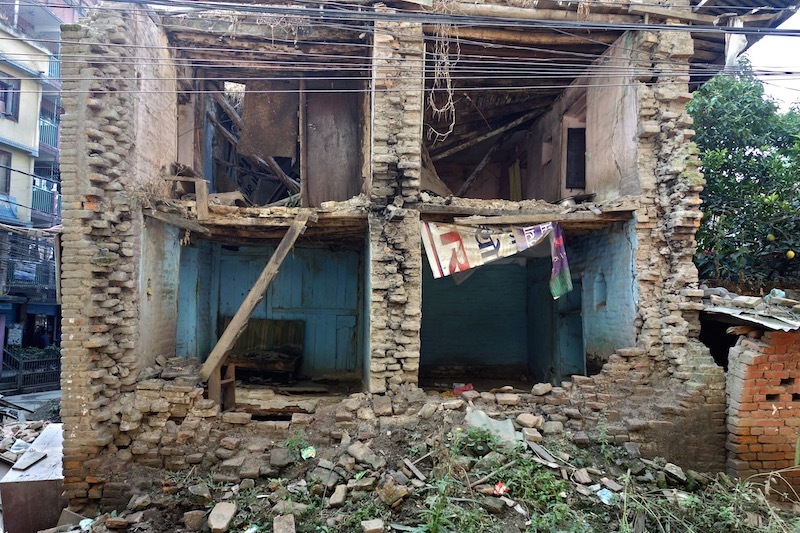 Despite all incoming and pledged aid, hardly anything concrete is being done for the people who lived in the half-million homes swept away in the middle mountains. And as long as India maintains the boycott, nothing can possibly change. The international community liberally launched humanitarian assistance on an unprecedented scale, most notably led by India, Japan, China, and the United States. 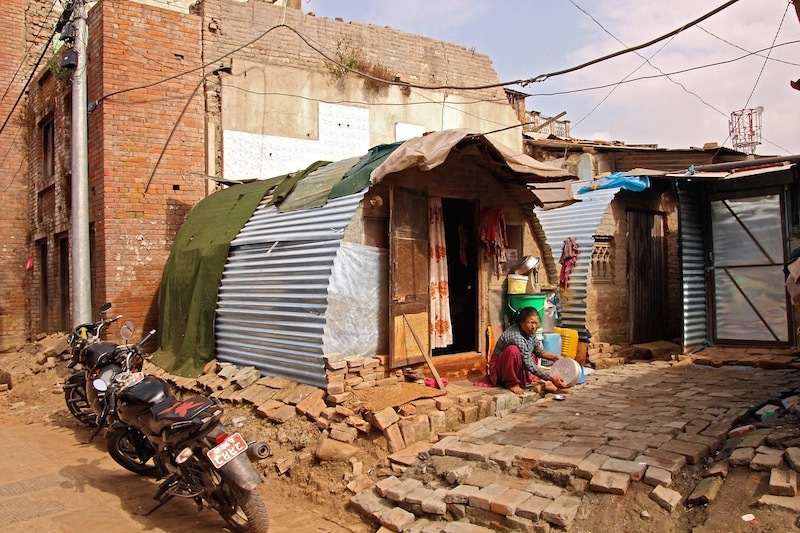 Equally generous were the financial commitments for reconstruction—to the tune of $4 billion—by bilateral donors and multilateral institutions like Asian Development Bank, World Bank and International Monetary Fund. Understandably, expectations were high and there was consensus on accelerating reconstruction with the accepted ‘build back better’ principles. 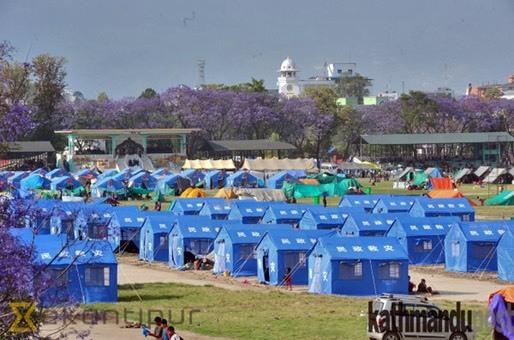 However, the delay in decision making by the government, the seemingly sluggish bureaucracy, and the egotistic political infighting around the National Reconstruction Authority (NRA) frustrated the quake victims and international community. With just a corrugated zinc roof. 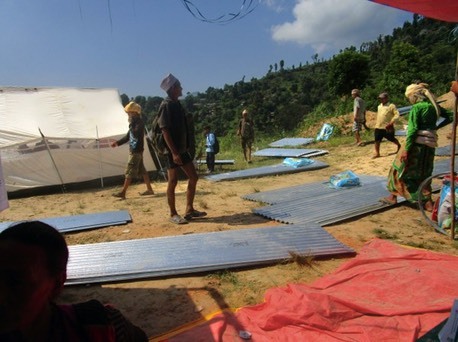 For example, small huts made of steel frames were installed which the villagers themselves had to fill with bamboo mixed with clay to withstand the monsoon rains. For them to survive the present winter cold that way, however, is a lot harder. Besides, often mainly the elderly stayed behind to take care of their piece of land, some cattle and perhaps a few grandchildren. The young went to the city or abroad for education or work. 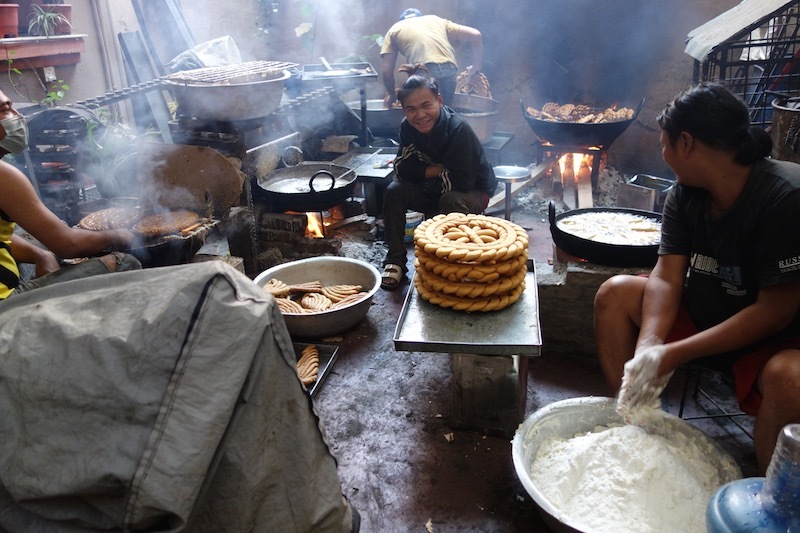 Confectionery, working on wood fire, in the back of the store. 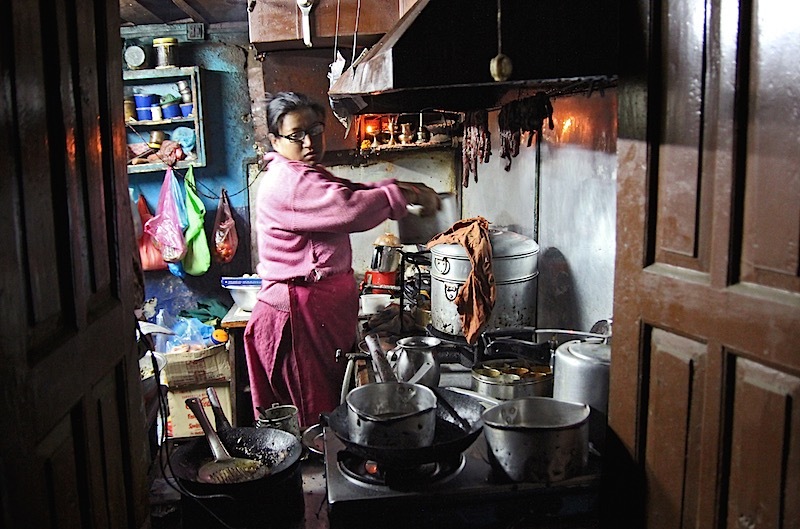 In absence of gas and electricity, families try eateries that managed to get some butane in the black market. To anyone familiar with Nepalese politics, the picture emerges of a baseball stadium: the ball seems to go over the fence, everyone in the stadium runs in that direction, unabashedly climbing and trampling on each other to get their hands on the ball of some $4 billion. 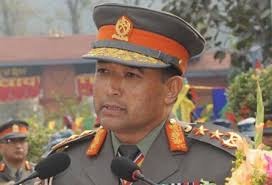 Kosh Raj Onta, the disgraced chief of the Armed Police Force, who was suspended by the government at the recommendation of the Commission for Investigation of Abuse of Authority (CIAA), has admitted to his involvement in embezzling state coffers by producing fake bills while supplying goods to the units of the paramilitary force. 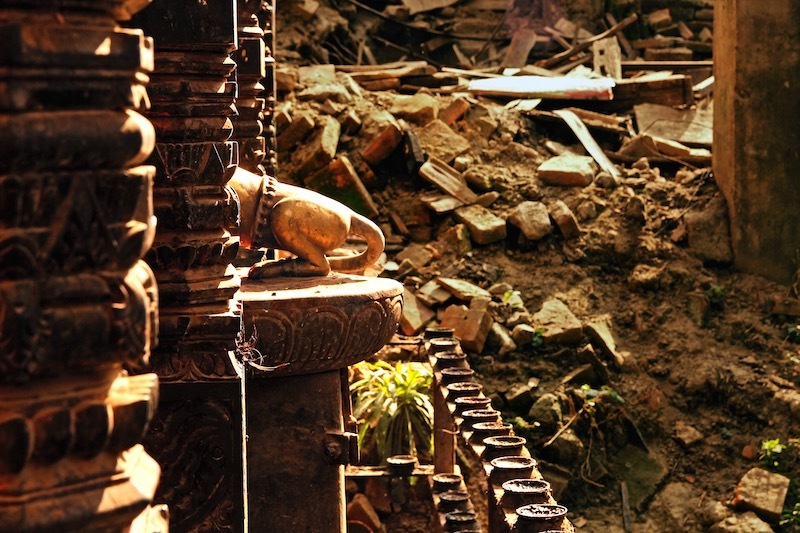 Old temple, collapsed house, motorbikes without gasoline. 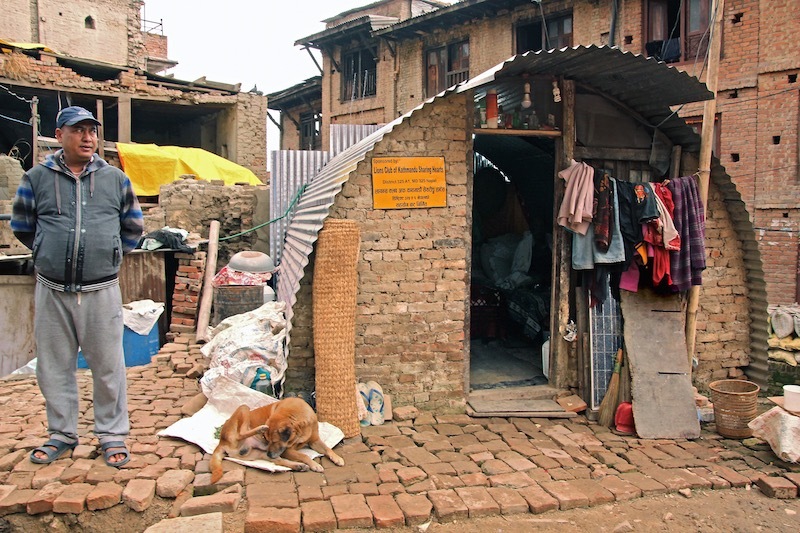 Jan 5, 2016- How is the government tackling bad governance: a) by creating a bloated Cabinet; b) by lavishing ex-officials with obscene perks and privileges; c) by taxing and embezzling relief materials meant for earthquake victims; d) by circumventing rules to elevate one’s party-promoted hospitals—where senior leaders own huge stocks. Given the corrupt history of the political parties in the country, one can easily conclude that the only reason behind the months-long wrangling over the NRA is the money pledged by the donors for the reconstruction projects. 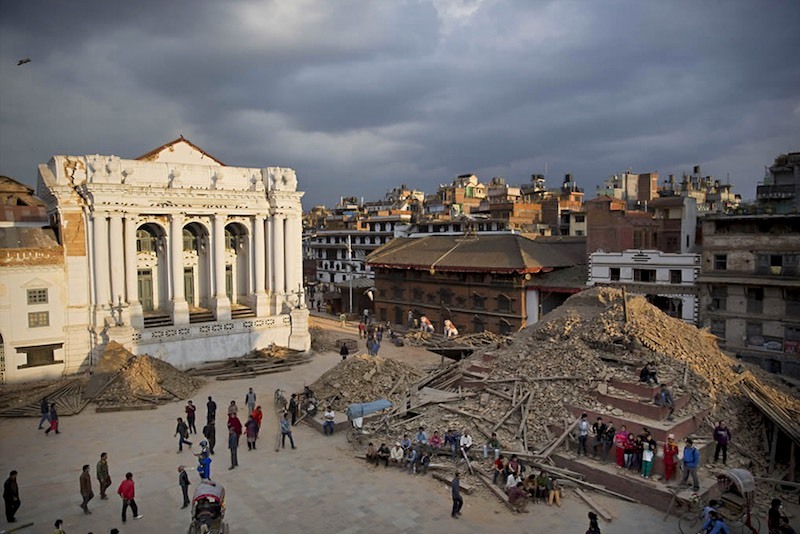 International donors have pledged over $4 billion for reconstruction. In addition, the government has allocated about $700 million for the current fiscal year. 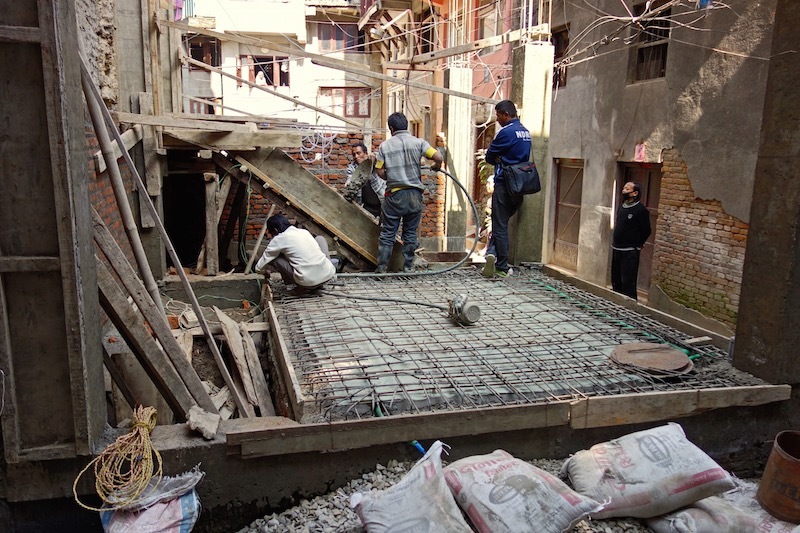 The parties are eying to use the reconstruction fund to influence politics rather than implement the reconstruction projects in a fair manner. As in so many Asian and African countries, you only have to look around to see the approach of a very different earthquake: a youthquake. How much faster the rebuild would take place if the young did not have to go abroad for work and build a showy stadium or the next highest tower in the world. What if they could get started for themselves, in their own village? A country cannot develop by merely exporting its workforce. Every day, a larger number (1,800) of the working age population leaves for foreign countries in search of manual work than the number entering the job market (1,400). Registering a child for college or university is problematic as well. The Indian politician Prakash Verma urged his government to make its position clear on the straining age-old ties with Nepal and the initiatives taken to resolve the crisis. He added that the Indian government should respect Nepal’s sovereignty. All those concerned about the future of Nepal should take this as a wake up call. 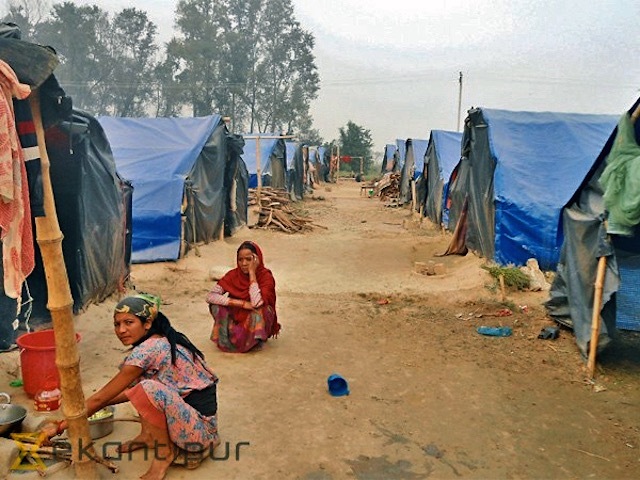 The chills of winter will wipe the smiles from innocent faces in the earthquake-ravaged hills of Nepal; human trafficking could increase and more could migrate to the Gulf countries and if worse comes to worse, Nepal as a country might even be obliterated. 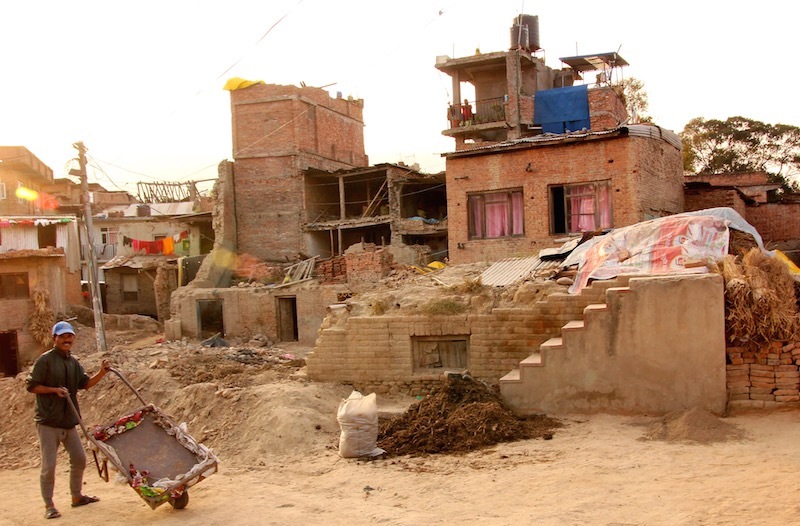 Thus, to avoid such disastrous consequences, it is imperative to help Nepal revert back to normalcy. For that, the Indian government should shed its arrogance while the Nepali government should reconcile with its people.